There are many street races in the Initial D Series. This OAV has no plot other than to collect all the street races into one stage. The dialog during the original races is left in. 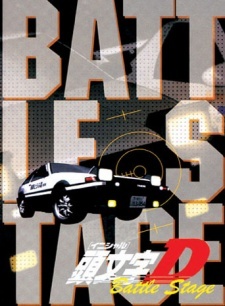 Watch Initial D Battle Stage Episodes Online at Animegg.org. Initial D Battle Stage is available in High Definition only through Animegg.org. Choose an episode below and start watching Initial D Battle Stage in Subbed & Dubbed HD now.